With this TWIC-Toolbox, all TWIC available on the Internet game databases are automatically downloaded, unpacked and brought together in a game database. 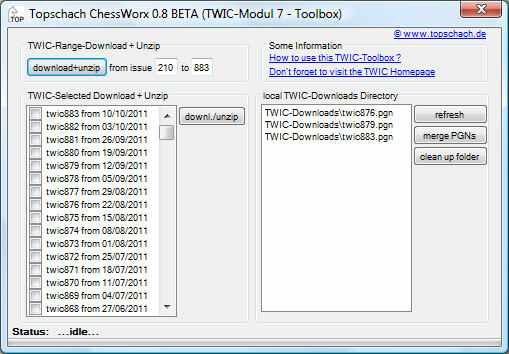 Thus, it is possible to download all TWIC issues and combine them in a database. The result is a very good reference database.